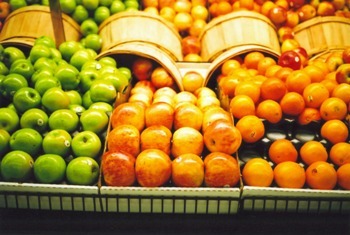 Smartphone apps are the new coupons… but so much better! I must admit, I LOVE points. My husband and I flew my parents from Newfoundland to Ontario last year to watch our kids while we spent a week in the Canadian Rockies to celebrate our anniversary. The 4 flights were free through Air Miles… apart from taxes of course but still a great deal! 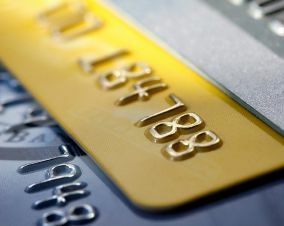 Like myself, many people put daily expenses on their credit card to accumulate points. The trick is paying your balance off each month so interest charges don’t accumulate. This past year, however, I discovered the benefit of downloading apps for point collection! My personal two favorites are Shopper’s Drug Mart and the PC Plus Loyalty programs. Daily trips to the grocery store make it very satisfying when I can redeem points. This past year I redeemed $300 worth of free groceries! I used to use the plastic card but the app literally quadrupled my points. 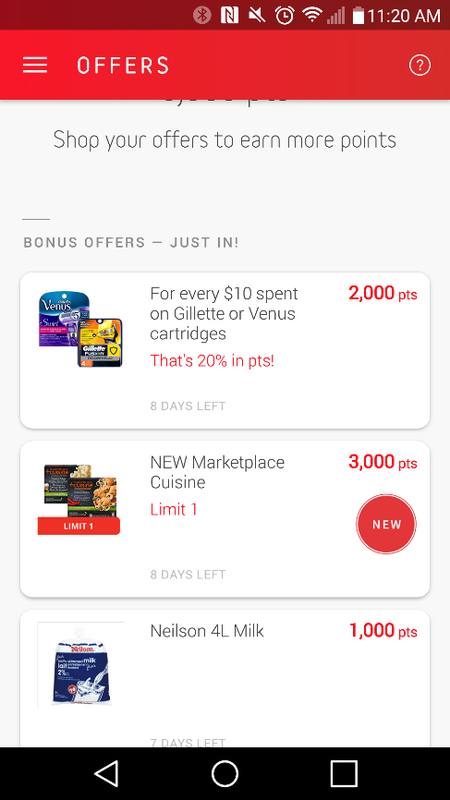 My offers are tailored to the products I purchase each week and every couple of months I often get a “spend $125 in one purchase and get 10,000 points offer”. With two growing boys at home, this isn’t hard to achieve. With this program 10,000 point = $10.00. I echo these thoughts for Shopper’s. Since downloading the app I have accumulated way more points than the plastic optimum card has given me. Personally, I am saving my points for Christmas gifts and stocking stuffers. The other day as I saw a young University student in the line at the craft store Michaels paying full price for a product. I asked him if he had the 50% off a regular priced product coupon to use and he didn’t know about this so I gave my phone to the cashier to scan for him and saved him roughly $40. He was amazed and told me I made his day which made me feel good. I know my husband would never scan his phone to save money and therefore I do the shopping in our house! Yes, in some way we all pay for these loyalty programs and the cost of these programs is built into the products we use every day but you’re going to pay this price either way so you may as well accumulate the points. Most people have their phones handy when shopping so I do encourage you to download a few apps to the stores you visit frequently and check out their points programs. Save money when you can and have fun cashing in the offers! This list of apps is provided for your information only. Quadrus/Great-West Life and your financial security advisor do not maintain or control the apps, are not affiliated with the app providers, and make no endorsement of the apps or any of their content or services. Quadrus/Great-West Life and your financial security advisor make no representation, warranty or guarantee regarding the performance of the apps listed. Access to any such apps is subject to the terms and conditions of such apps. You are solely responsible for the consequences of any use of or reliance on the content of any such apps.